Donington Park was once a premier venue for Grand Prix racing during the 1930s. Over that period, the circuit underwent various changes to the layout. 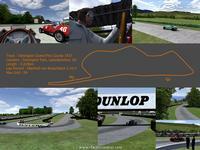 By 1937 the circuit was up to a 5.029km length which is what I have tried to recreate for Rfactor. 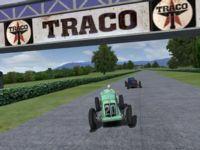 I have tried my best to bring the era of the 1930s Grand Prix racing to life for Rfactor with what I had available to me. However I have had to make a few compromises during the design process so that cars would actually be able to drive on the track. 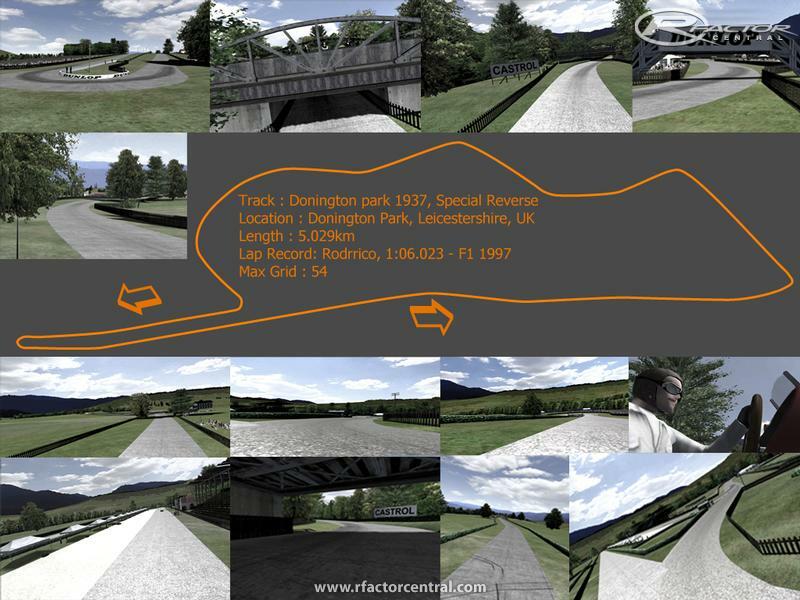 The real Donington of 1937 had some seriously rough bumps. In fact the approach to the hairpin was so steep that the cars took off and landed quite abrasively just before the braking zone. This was also the case on the run to the start / finish line. For Rfactor, I had to reduce the angle of these bumps as the AI would hit the bumps at almost full speed and the crash practically every time, thus I was one of very few cars to actually complete a lap during testing. I then modified the bumps ever so slightly to reduce this change of annihilation of the AI cars, though now they brought their speeds right down to a crawl just before the bumps and thus, the following cars would crash into these near static objects in the middle of the road. Ultimately, what I have done is modify the historical circuit just to a point that the AI can negotiate the circuit without a 100% chance of incident and be competitive. No doubt the purists out there will say this is no good as a result, but I believe it is a worthy compromise. This is the first track in over two years that I have made multiple layouts for. 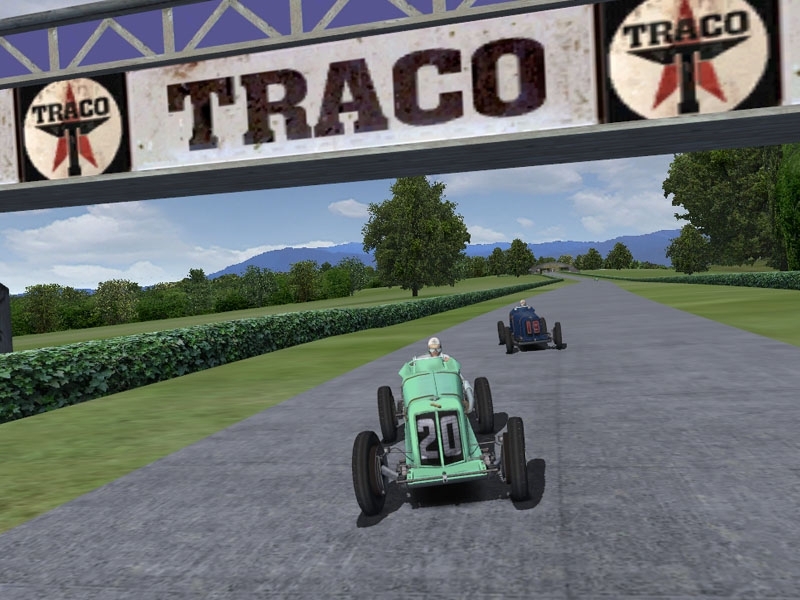 The GP Course is that of 1937 as it was. While the Special Reverse is one that I found to be just as functional and fun during testing, so I decided to include it. I don't however believe that it was ever used in a reverse configuration during that period. If you enjoy my tracks the perhaps consider donating just a few cents. It takes me a long time to make these circuits and it would be a really big thank you for your small donation. 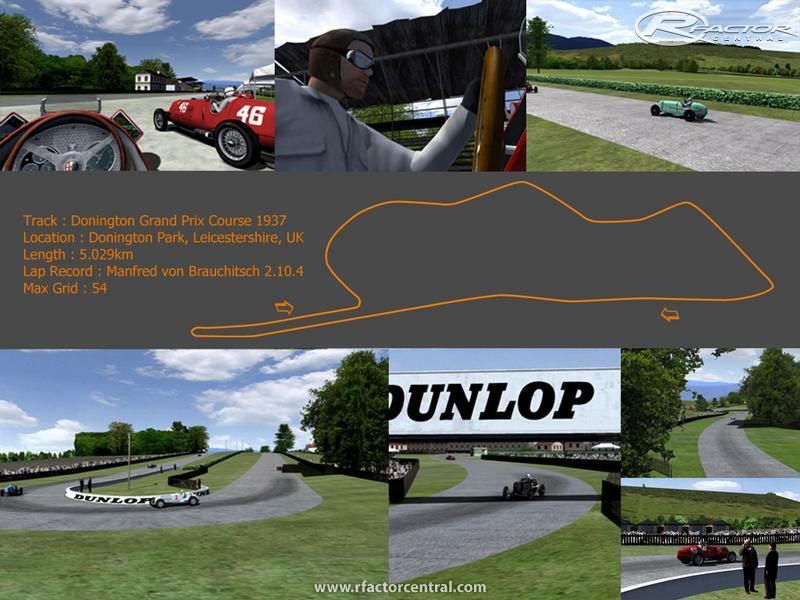 There are currently no setups for Donington Park 1937. Add a Setup. Cool, I've never seen that picture before. To me the image looks a little fake so I am not sure about that one. I based my bridge on http://www.youtube.com/watch?v=sx6gEFfxPVU from the Spirit of Speed game. 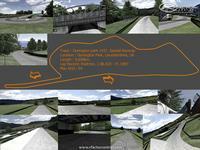 But if you can sourse a better image, maybe I can convert it into Rfactor. Thanks for the idea NitroMcClean, I have heard rumours that someone else is working on it out there, but if nothing materialises from these rumours then I might give it a go. However I am not the best modeller out there and am not sure I would be able to faithfully create this for Rfactor. Though, in saying that I might start playing around with the idea in the coming month, pending work etc. absolut fantastic work ... thx dude!!! @Rodrrico: Congratulations on another fine addition to your portfolio of under-appreciated tracks!